Since 1995，we focus on switches. Anno 2014, Pauw is represented by 28 self-owned stores in The Netherlands and 150 points of sale worldwide. Dongnan Electronics Co., Ltd. was founded in 1995, is located in Yueqing Economic Development Zone, Zhejiang Province, the southeast coast of China. 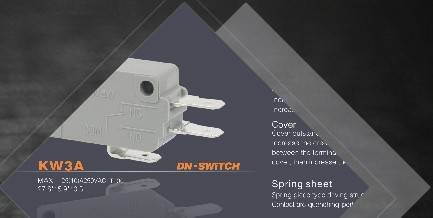 We are a switch manufacturing enterprise that has R&D, producing, marketing and after-sales service; we have more than 25 years’ experience in making switches, and our switches are widely used in China and oversea countries. Our company covers an area of 14438 square meters, now our main products are: micro switch series, water proof switch series, rotary switch series, push button power switch series etc., all of our switches have UL, ENEC, EK, CQC etc. approvals; Our products are widely used in electronic instruments, home appliances, automotive electronics and electric tools, annual production capacity more than 300 million pcs of switches. Our company has advanced standardization production equipment; high precision manufacturing processing equipment; German type mold manufacturing and design capabilities, world-class testing laboratory; close cooperation team. Strictly carry out quality control measures, and improve the quality of our products constantly, to provide customers with competitive products and satisfactory service, awareness of quality services to every worker. Company adhering to the management principle of "people-oriented, pursuit of excellence, developmental and innovative, set up brand and make first-class switch supplier”, continually strengthen company research and development team, and won lots of invention patents and utility model patents.